The snow began to fall mid morning and started to come down steadily early this afternoon. So far about 4 inches have fallen in Northbridge. The first wave of energy is winding down now and there will be a break in precipitation until midnight or so. Then the second burst of snow will begin and it will make the morning commute tough. 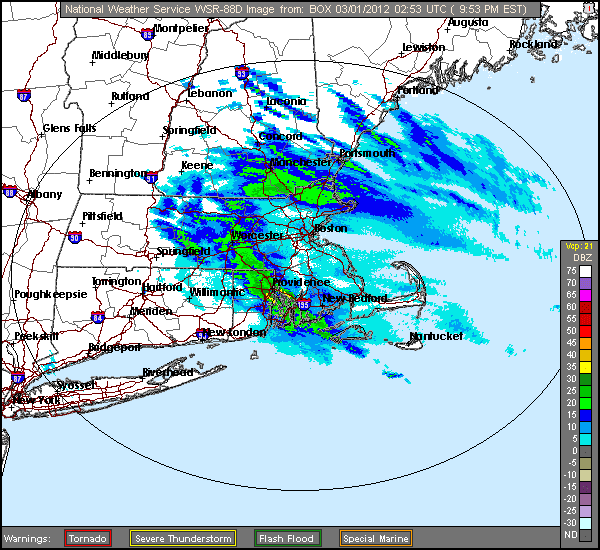 The rain snow line is going to creep into Northern CT/RI and maybe up through Boston overnight. I think sleet will mix in with snow south of Worcester to the MA/RI border. This will keep our snow totals down. Still, this rain snow line is going to create a sharp divide between 6+ inch amounts and 1-4 inch amounts. Temperatures will be in the upper 20's tonight/low 30's tomorrow. The second wave will gradually wind down in the mid morning hours. However then a final pulse of energy will push through and finish everyone off with light snow tomorrow afternoon. Areas north of Boston will get whacked tomorrow. That area received very little snow with this first event. The second wave, which will affect us overnight, has bundles of energy so someone is going to get a healthy dumping of snow from it. Most guidance suggests the Merrimack Valley out towards Leominster/Fitchburg into southern NH. 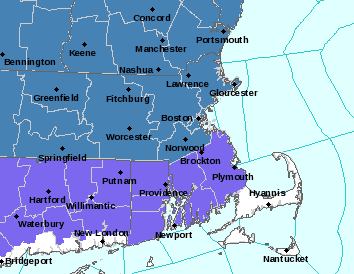 I am expecting an additional 3-5 in Southern Worcester county by morning. Water Vapor Image. 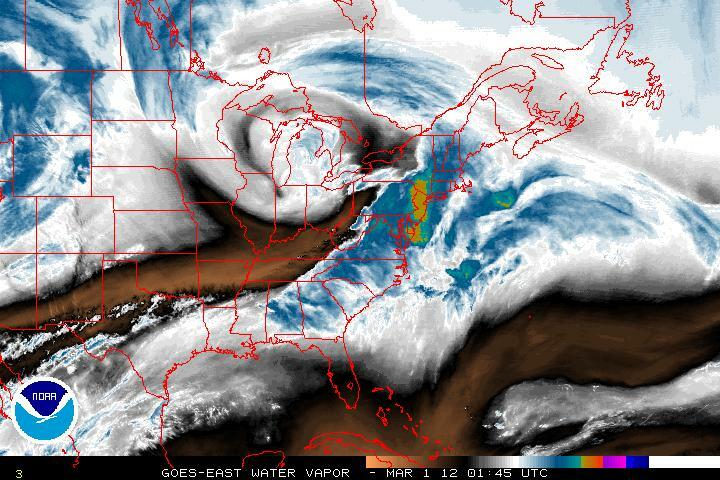 System 3 over Great Lakes. This is all over by 1 am Friday morning (many will end before then) but tomorrow night's commute will also be affected. Be safe if travelling and give yourself extra time. After months of a dormant weather pattern winter finally returns tomorrow. A series of waves will move across New England from tomorrow afternoon through Thursday night. This is a three part system that will likely drop the heaviest snows since the Halloween Weekend storm. The first phase will begin tomorrow between 2 and 4 pm and this is all snow for most. 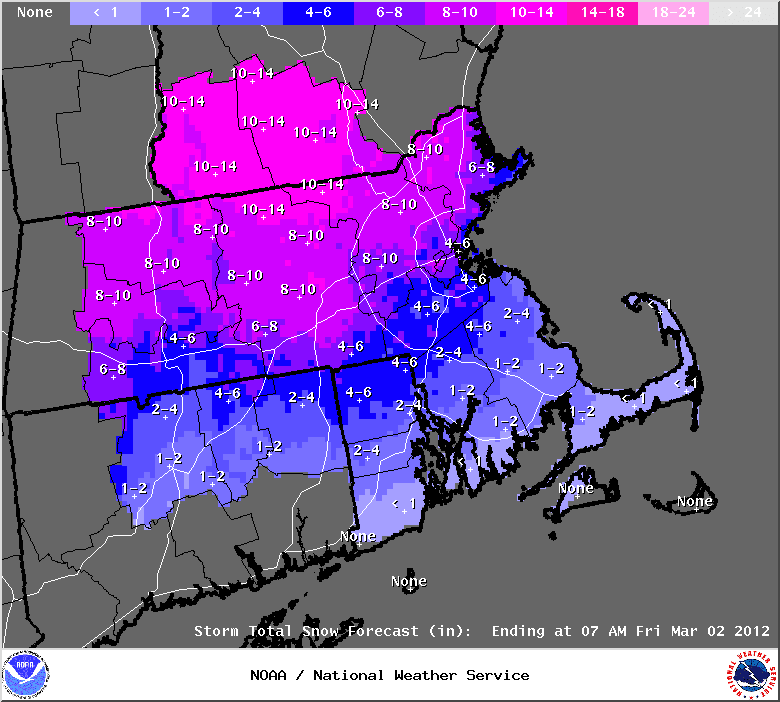 4-8 inches of snow are likely by 6 am Thursday. This will be the majority of the accumulating snow for southern New England. 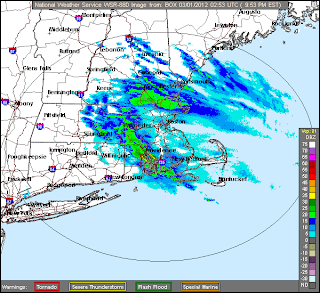 Sleet will likely mix in from time to time south of the Mass Pike. Thursday looks to be sloppy. Temperatures will be slightly above freezing so rain, sleet, freezing rain and snow will all be falling from the sky at various times. By mid afternoon on Thursday a third and final wave will pass by as it weakens. This will draw in more cold air and flip everything back over to snow. I currently think an additional 1-3 inches of snow will be possible. I'll try to stay updated through the facebook group as I will be out of the state for most of tomorrow.